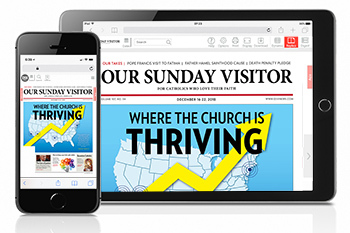 Bring the Catholic news to life in a whole new way with OSV Newsweekly's digital edition! Text-to-speech lets you to listen to the news and stories. Search for keywords and set alerts. Read from your computer, tablet, or smartphone! Get started today. View a sample of our current issue! The digital edition of OSV Newsweekly includes access to all current articles. All digital edition subscriptions are available as auto-renewal only. You may cancel at any time.